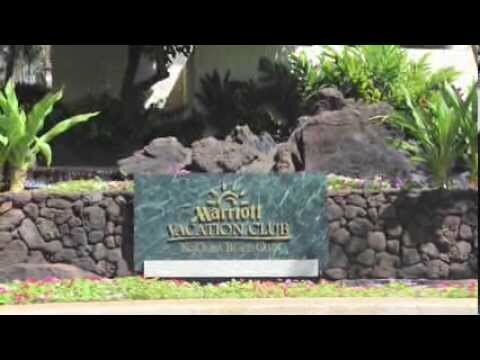 Marriott's Ko Olina Beach Club is situated on the spectacular Western shore of Oahu, where waterfalls and fountains welcome you as you drive under the port- cochère. Just 30 minutes from Honolulu, this beach front oasis is secluded and peaceful. Surrounded by seven lagoons, you will find brilliantly blue water all around you. From the stunning gardens to the sparkling pools, every inch is filled with beauty. This resort is only 30 minutes away from downtown Honolulu. 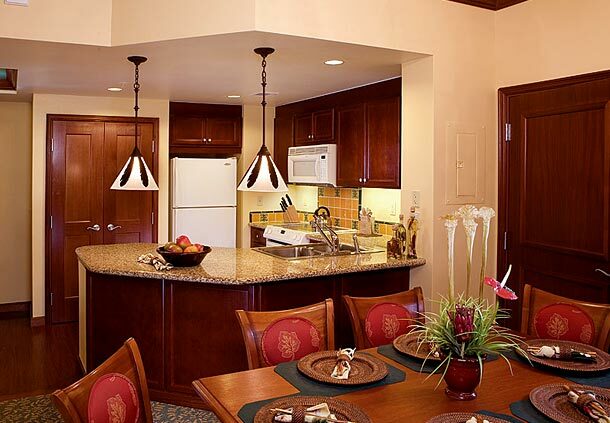 Each timeshare villa reflects the gracious, open hospitality of a Hawaiian plantation. 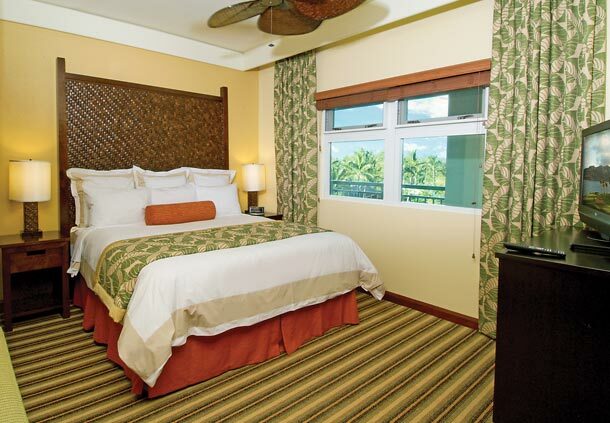 With Koa wood furnishings and Hawaiian décor, your villa will create the perfect setting. These one-, two-, and three-bedroom villas offer a choice of spectacular ocean views or mountain views. 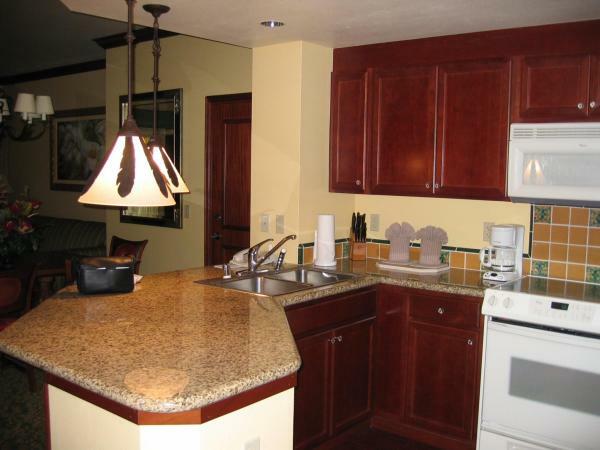 A fully equipped kitchen with oven, microwave, dishwasher, cooking/eating utensils, and refrigerator is right at your fingertips. A king-size bed, oversized tub, and shower in the master suite, comfortable living and dining areas with queen sleeper sofa, color TV with video cassette player, dining table and chairs, and private lanai are all included in each villa. 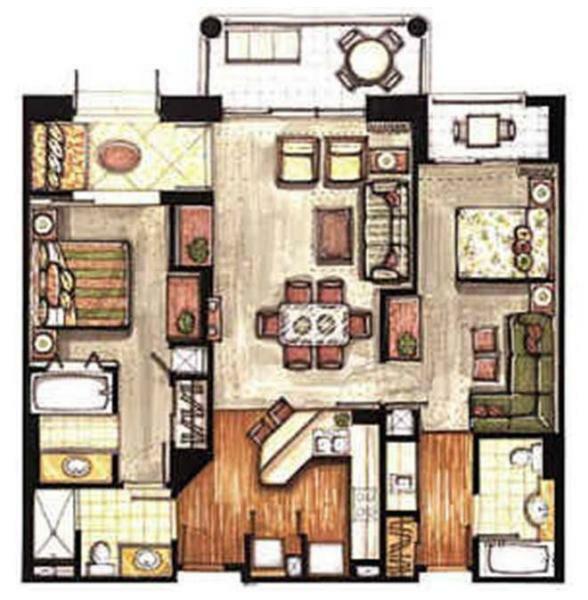 There is also a utility area with washer and dryer for your convenience.